I wanted to see Cuba before corporate interests prevail, and the mysterious country 100 miles from Key West, FL, becomes South Beach South. As U.S.-Cuba hostility softens, the island nation is poised to become an American tourist mecca. Around Christmas, I received a brochure from the Michigan State University Alumni Association. “Cuba,” it said. “A People-to-People Educational Exchange.” The offer: an eight-day exploration of a place few Americans have seen; 27 people, including my wife and I, accepted. Our group claimed 17 Michiganders, including Ross and Brenda Biederman. Biederman is president of the Midwestern Broadcasting Co., which includes radio station WTCM in Traverse City. 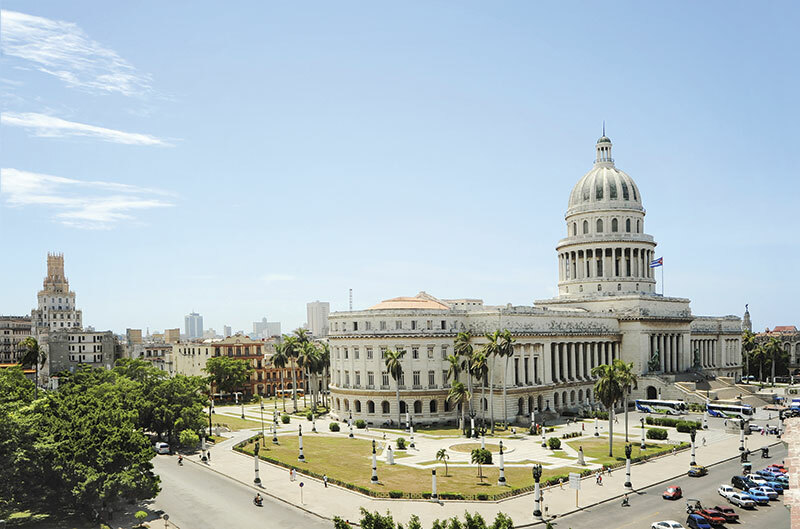 Despite the recent thaw in U.S.-Cuba relations, U.S. tourism is not yet allowed. The Alumni Association holds a federal license, which demands strict adherence to the educational mission. Reflecting that, our agenda included scholarly lectures and visits to a school, an agricultural commune, and other non-tourist places. Yet, we found time for salsa dancing, cruising Havana in vintage convertibles and sampling local mojitos and Cuba Libres (rum, coke and lime juice). Havana’s iconic image—1940s and ’50s American cars—are the most conspicuous evidence of Cuba’s arrested development, a result of the 53-year-old U.S. trade embargo. Nearly everything there suggests a bygone era. Our group stayed in Havana for five nights, then in Cienfuegos, on the southern coast, for two nights. In eight days we immersed ourselves in Havana’s street life and explored Cuba’s lush mountain forests and pristine Caribbean seaside. One disappointment: mediocre cuisine. If you’re traveling for the cuisine, go to France—not to a country known for rice and beans. Also, shoppers will encounter a paucity of possibilities. There’s little to buy, except cigars and rum; U.S. citizens can bring back $100 worth of each. Those are trivial complaints. If you go to Cuba, you’ll find the people welcoming, the music irresistible, street life stimulating, and the scenery breathtaking. It’s a fascinating country.